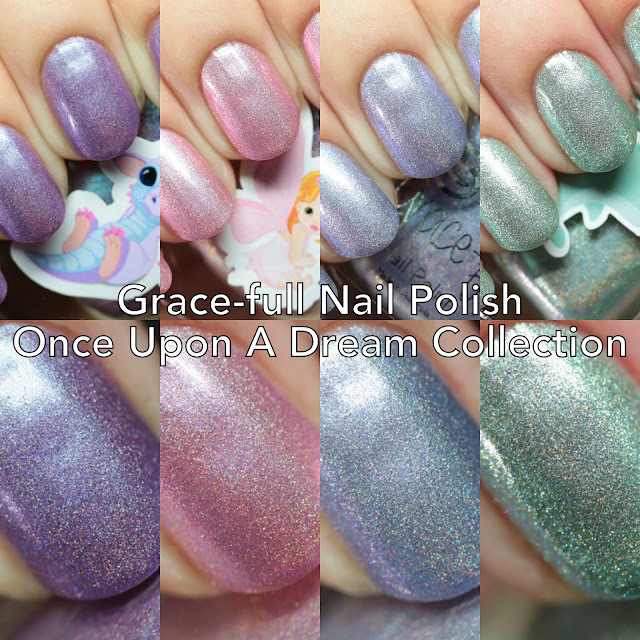 Grace-full Nail Polish is launching the Once Upon A Dream Collection this Friday, September 2, at 7PM CDT. It is comprised of seven soft pastel duochrome holos inspired by whimsical creatures, who appear on the bottles. I have half of the collection to show you today and the other half tomorrow. Let's go! First a note about the formula, which was the same across colors. They all dry quickly and cover well in two-to-three thin coats. Removal is not a problem. 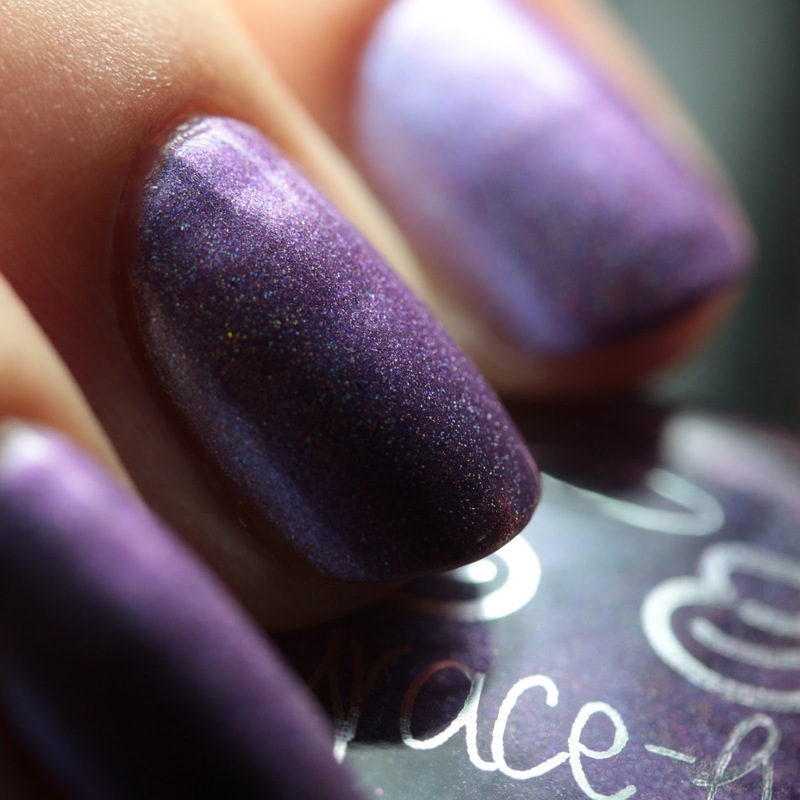 Dragon Snuggles is a scattered holo with lavender microflakes that shift to pink. Fairy Kisses is a scattered holo with baby pink microflakes that shift to gold. Pony Whispers is a scattered holo with pale periwinkle microflakes that shift to pink. Swam With A Narwhal is a scattered holo with pale green microflakes that shift to blue. I found all of them to be very sparkly and to wear well. Stay tuned for the last three tomorrow and the launch! 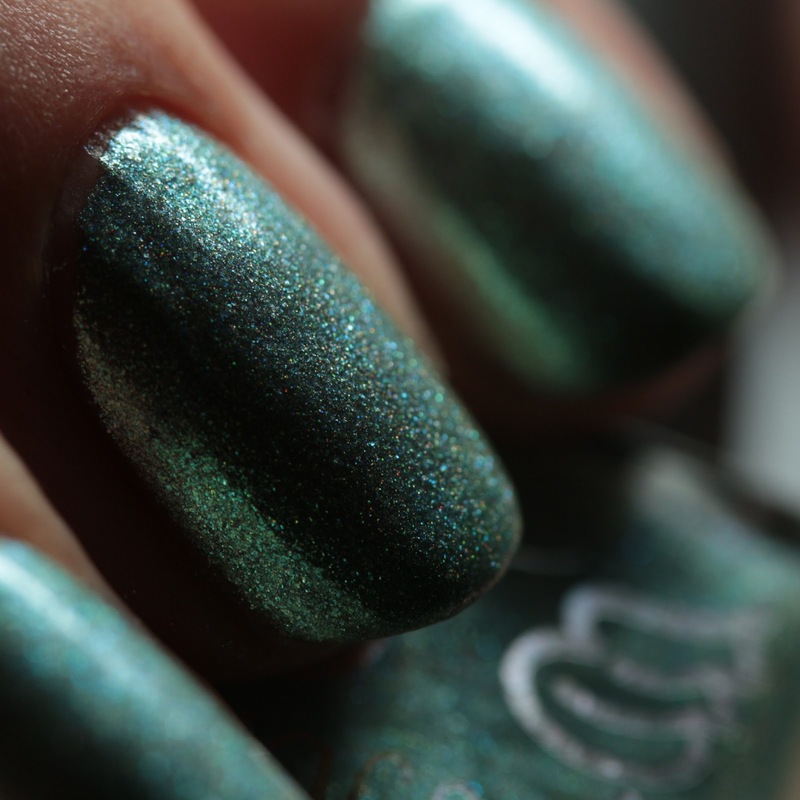 Grace-full Nail Polish is also releasing August and September monthly polishes at the same time, so keep an eye out for those if you like jewel-toned green and blue holos. The newbies launch on Friday, September 2, at 7PM CDT. See any you like?